If you have sold your house and made substantial gains on the sale during the current financial year, you may be liable to pay capital gains tax on the profit made by you. If you have sold your house and made substantial gains on the sale during the current financial year, you may be liable to pay capital gains tax on the profit made by you. But if you invest the capital gains made by you in Capital Gains Bonds, you could save substantial amount on the tax payable by you. The Capital Gains Bonds offer tax exemption on long term capital gains made by the seller on sale of house, land, stocks, etc. 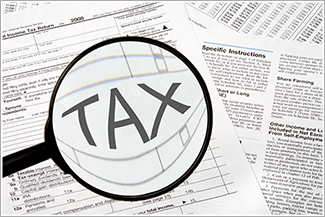 under Section 54EC of the Income Tax Act, 1961. The long term capital gain made on such transaction has to be invested within six months from the date of the sale ofcapital asset. The capital bonds have a lock-in period of three years and the investor buying the bond cannot transfer or convert them into money by taking any loan or advance against the bond by offering them as security. On breach of these conditions, the tax benefit would be withdrawn. Also, if the amount invested in the bonds is less than the actual amount of capital gains made, only proportionate capital gains would be eligible for tax exemption. The capital gains bonds are available from Rural Electrification Corporation (REC) and National Highways Authority of India (NHAI). The bonds of both REC and NHAI offer coupon rate of 6% with the interest amount being taxable and payable annually to the investor. The tenure of the bonds is 3 years and the minimum amount stipulated for investment is Rs 10,000, while the maximum amount that can be invested in these bonds is Rs 50 lakh. The capital gains bonds are among the best investment instruments for saving the tax payable on capital gains made by the investor.